The properties have already received the Urban Redevelopment Authority Architectural Heritage Award and will be carbon-free. Six Senses Hotels Resorts Spas has announced the latest project in the group’s expanding portfolio with its first two city hotels in Singapore. 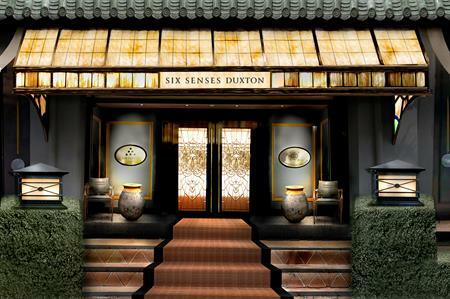 Six Senses Duxton opens in April 2018 while Six Senses Maxwell opens in July 2018. Set in the heart of Singapore’s Chinatown, the project will be split across two locations and see the restoration of two existing heritage buildings. Each hotel is expected to offer eclectic interiors by two of the world’s most iconic hotel designers. Anouska Hempel is acclaimed for The Hempel Hotel and Blakes in London, while Jacques Garcia is famed for his work including The Peninsula Paris and Hotel Costes. Guests will be able to enjoy the facilities at both properties and use them as a base to explore Singapore’s vibrant culture. Six Senses will curate a community of local businesses for guests to tap into while staying at the properties. So whether it's a local yoga studio or fresh juice bar, this will be an opportunity to get under the skin of Singapore as a tourist like never before. Both properties have already received the Urban Redevelopment Authority Architectural Heritage Award. The hotels will also launch a new sustainability programme that will make them carbon-free, while standing to save up to 20% in energy costs.